Breaux Bridge is a few miles east of Lafayette. It is a picturesque small town on the banks of Bayou Teche in the heart of Cajun Country that proclaims itself as the “Crawfish Capital of the World”. 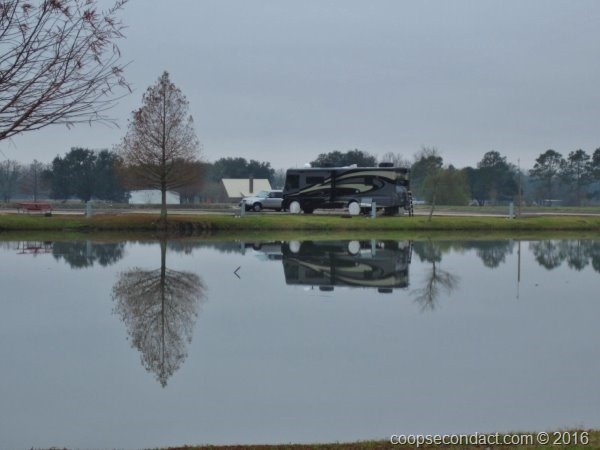 For our short visit here we parked at Poche’s RV Park and Fish-N-Camp. 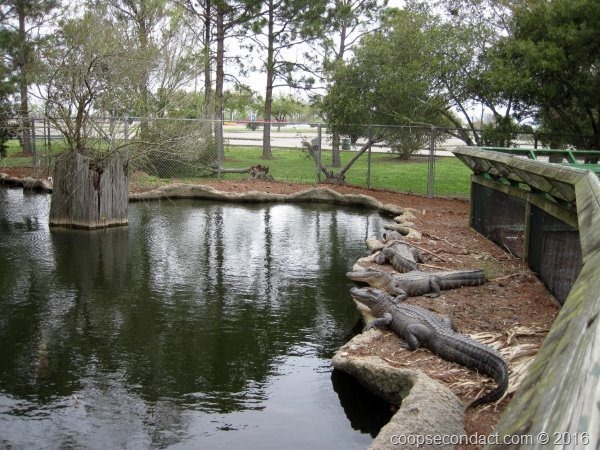 It’s a lovely setting with the RV sites arranged among the fish ponds. 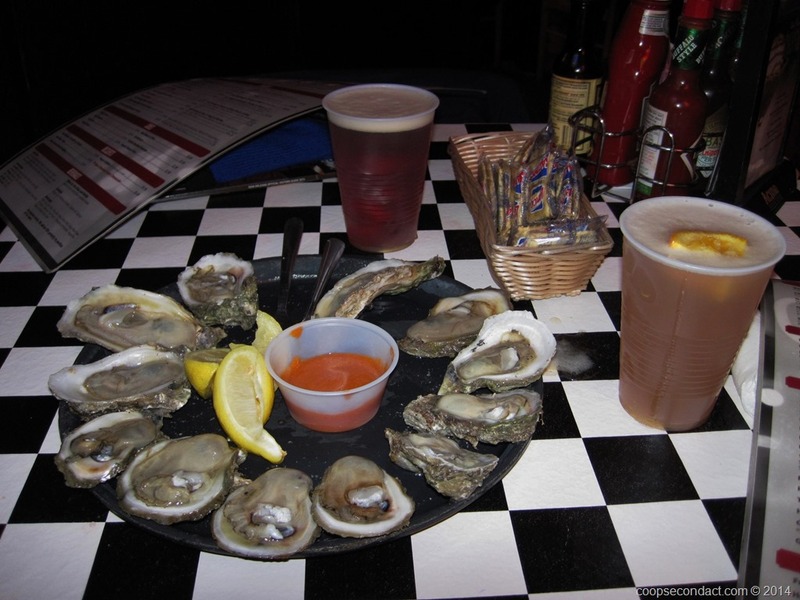 We couldn’t let this opportunity pass without sampling some local Cajun food. We were directed to a local restaurant named Pont Breaux. We had their seafood gumbo, Pont Breaux catfish and a side of hushpuppies. The catfish was grilled and topped with shrimp étouffée. It was exceptionally good. 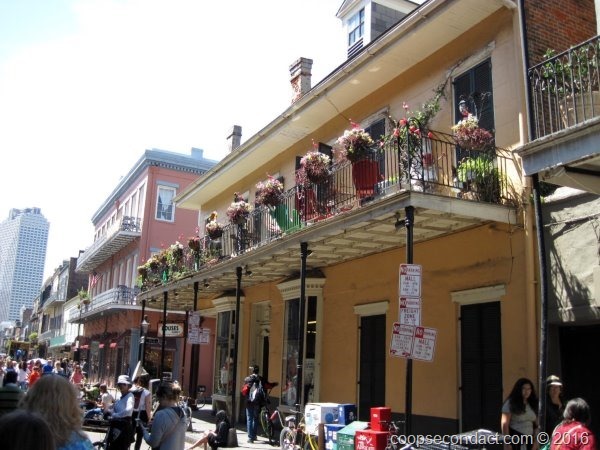 We visited New Orleans on our road trip in 2014. It was in January and was pretty cold at the time but we managed to get around to see a lot of the city. You can check out our blog article from that trip. We made this brief stop near Lake Charles on our way east from Galveston, TX. Lake Charles is only about 30 miles east of the Texas-Louisiana border. It has the interesting distinction of being one of the most humid cities in the contiguous United States. It has an average humidity of 90% in the morning and 72% in the afternoon. Lake Charles is also the largest casino market in the state of Louisiana. While we were here we celebrated Valerie’s birthday. We had a nice lunch at Tia Juanita’s Fish Camp in downtown Lake Charles. We had grilled catfish with grilled vegetables and rice along with their seafood gumbo. Very tasty. Albuquerque (pics) is New Mexico’s largest city with over 500,000 residents. It sits in the shadows of the Sandia Mountains. It serves as a hub for the state sitting at roughly the geographical center of the state and at the intersection of Interstate 40 and Interstate 25. We only had one day here. So for some exercise we headed to the 16-mile long Paseo del Bosque. 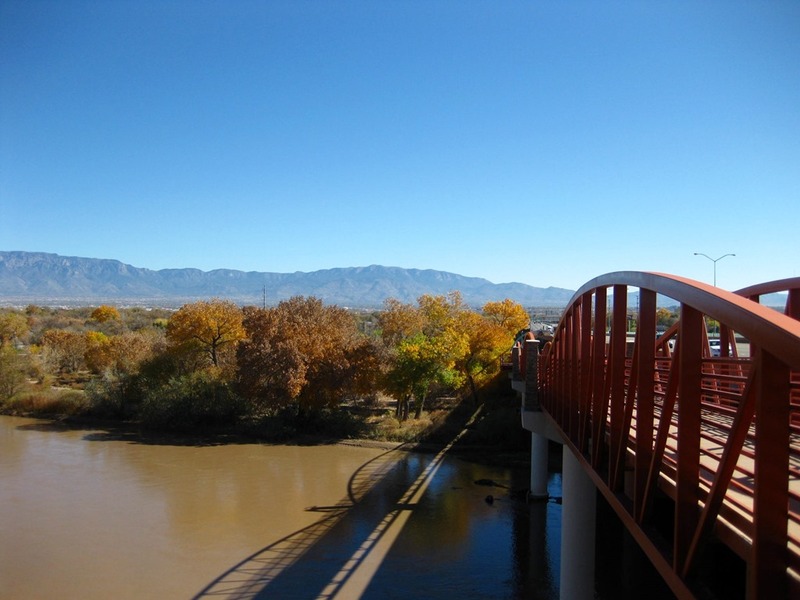 It is a recreational trail that runs alongside the Rio Grande River. It’s a nice paved path suitable for both walking and biking. There is also a pedestrian bridge that crosses the river alongside Interstate 40.